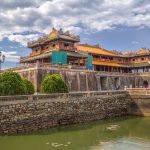 Hue food — 11 traditional cakes & sweet soups in Hue you can't miss - Living + Nomads – Travel tips, Guides, News & Information! 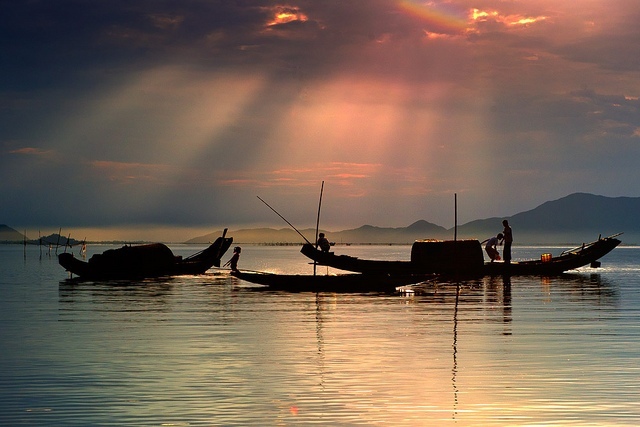 Huế (Hue, Vietnam) is not only famous for beautiful garden houses, but also for its outstanding delicious dishes, called Hue food or Hue cuisine. 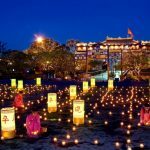 Aside from rice with mussel and vermicelli with beef, other types of traditional cakes and sweet soups also enchant a large number of visitors to this ancient capital. 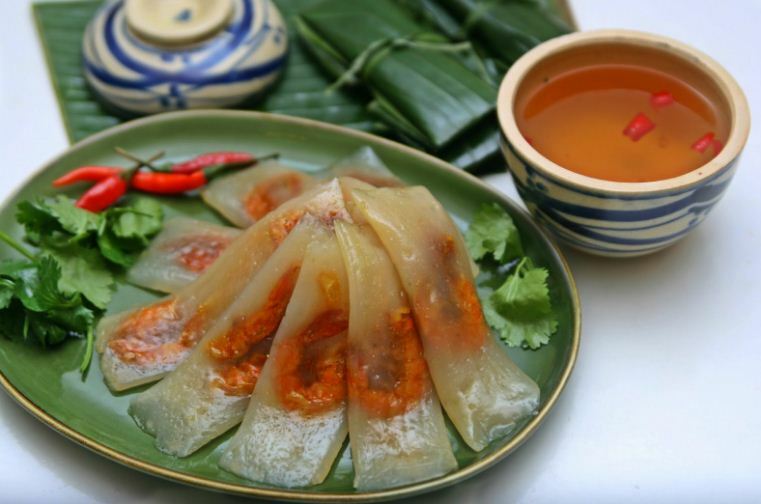 Kim Long’s thin steamed rice pancake with grilled meat is a delicious and beautiful dish created under the skillful hands of Huế’s women. 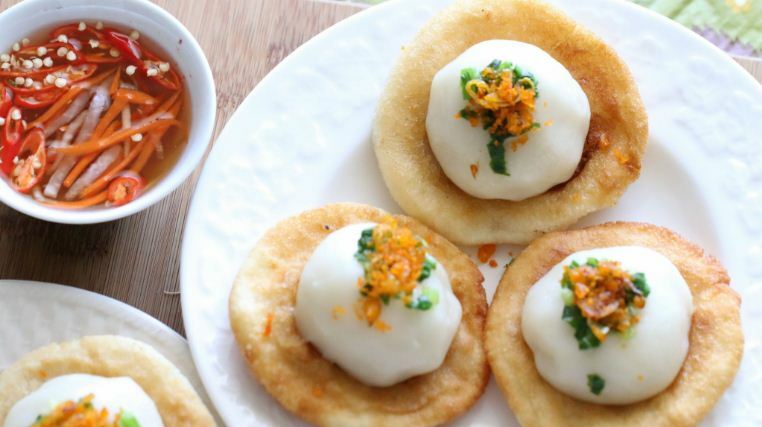 The rice pancake is made of rice powder with a small amount of tapioca, spread thinly. The lean and fat beef mix is sliced, mixed with black pepper, onion, fish sauce and sesame seeds. 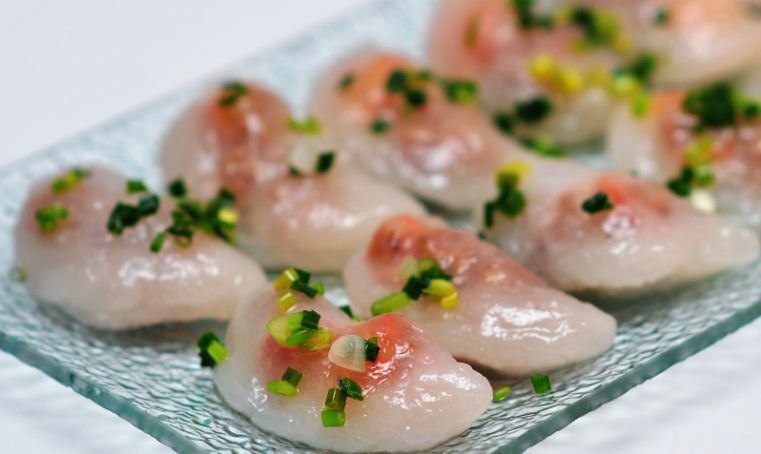 Then, it is grilled in a charcoal oven until it is cooked. 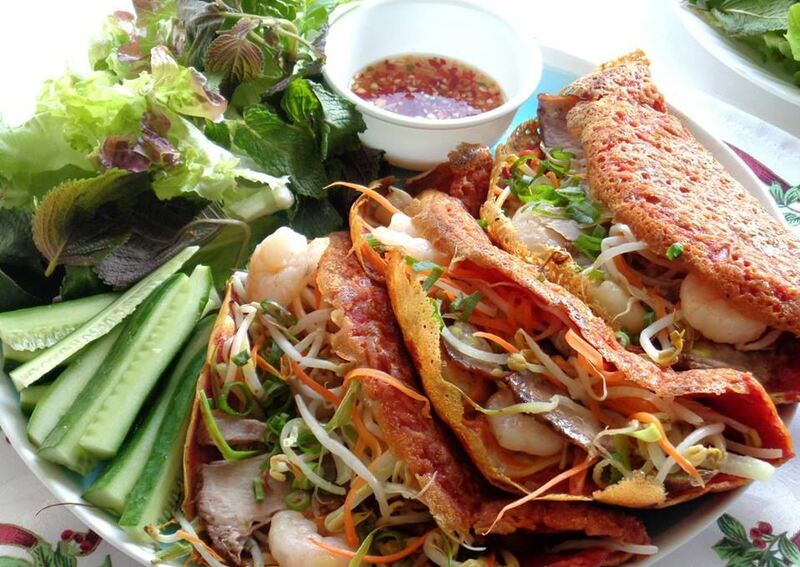 Grilled meat and raw vegetables are used for stuffing the thin steamed rice pancake. 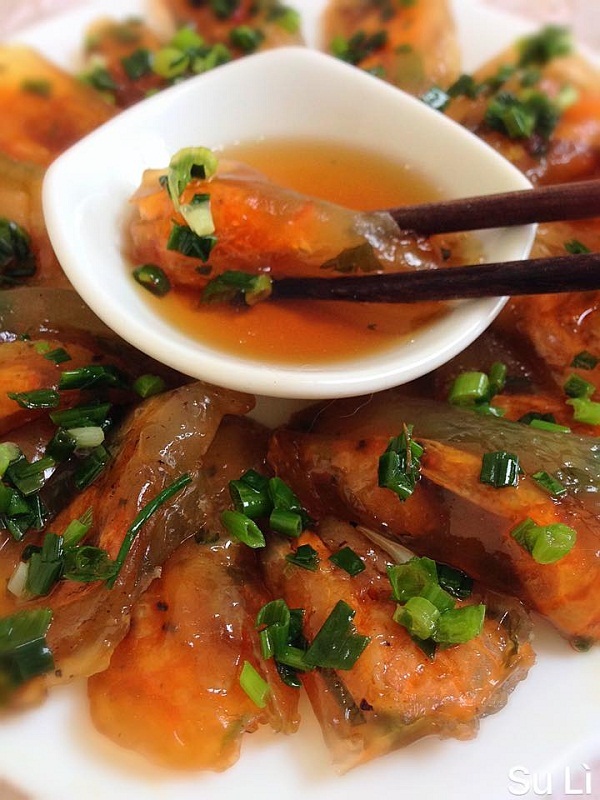 It is indispensable to have this dish with sauce, made of fish sauce, sugar, lemon, garlic and red pepper. 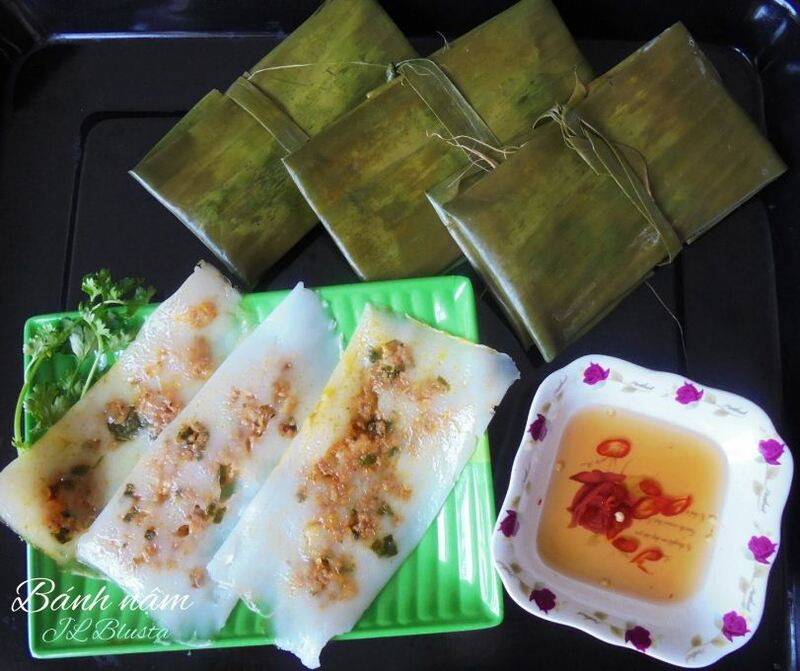 Plain rice flan is another specialty of Huế. 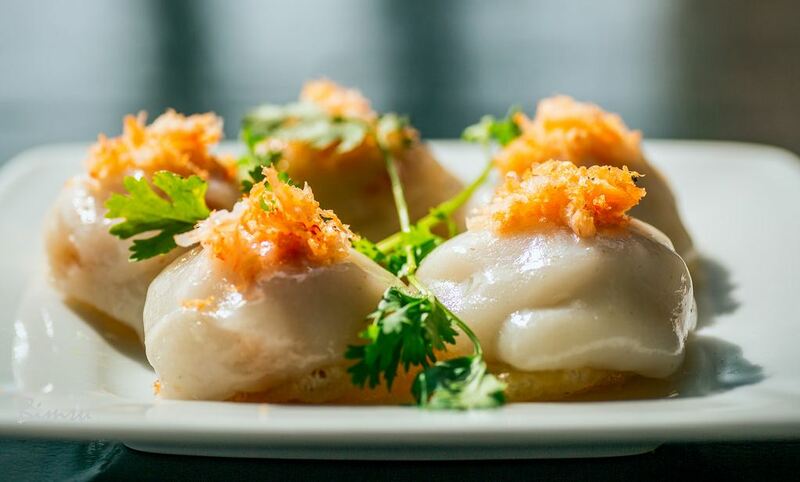 It uses the same ingredients as the folded rice pancake made by the Southern people, but Huế’s people bring it to the pinnacle of culinary art with a sophisticated process. 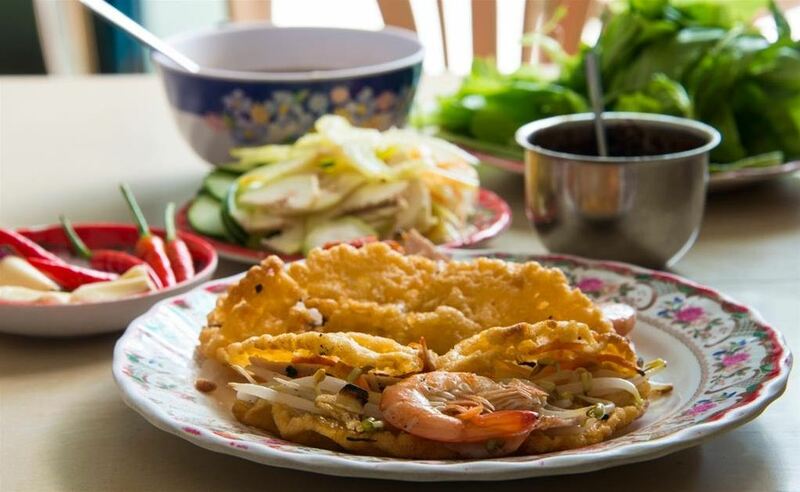 When the cake is cooked enough, add shrimp, meat, mushroom and bean-sprouts into a half of the cake, then wrap the other half into a semicircle shape. Leave it on the fire until both sides of the cake are cooked. 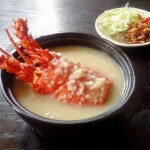 The plain rice flan is delicious thanks to its sauce, which is made of tens of ingredients. 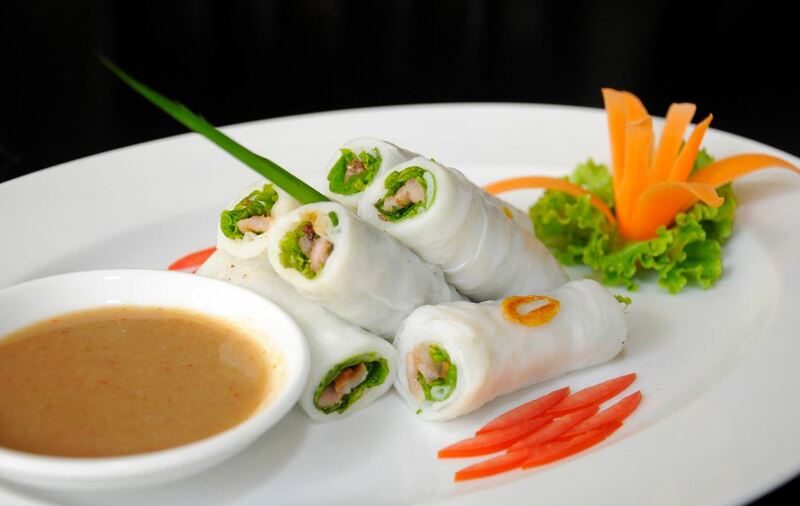 This is also the basic difference between this cake and the folded rice pancake of the Southern people. 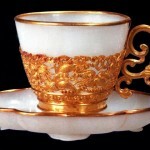 From a simple dish, this cake was made into a delicacy for royal members. 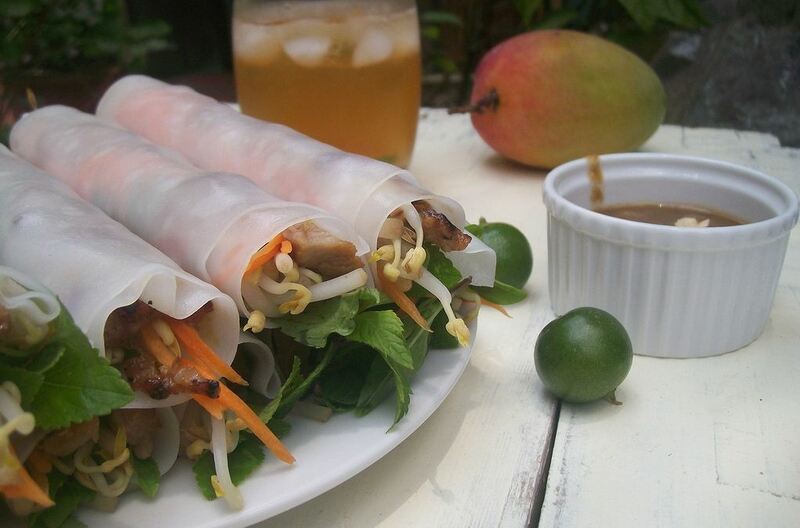 Now, it has become a popular dish of Huế’s people. 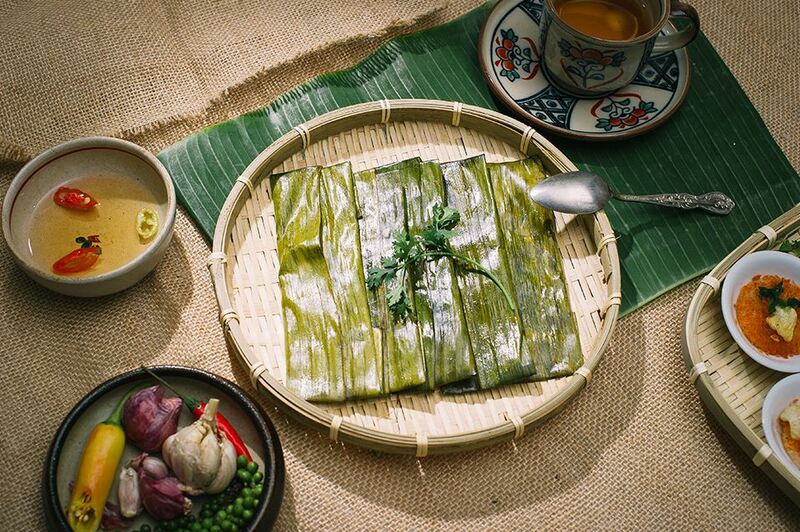 This cake is made of rice powder, which is spread on phrynium leaves with yellow stuffing made of mixed pork meat, shrimp and spring onion. 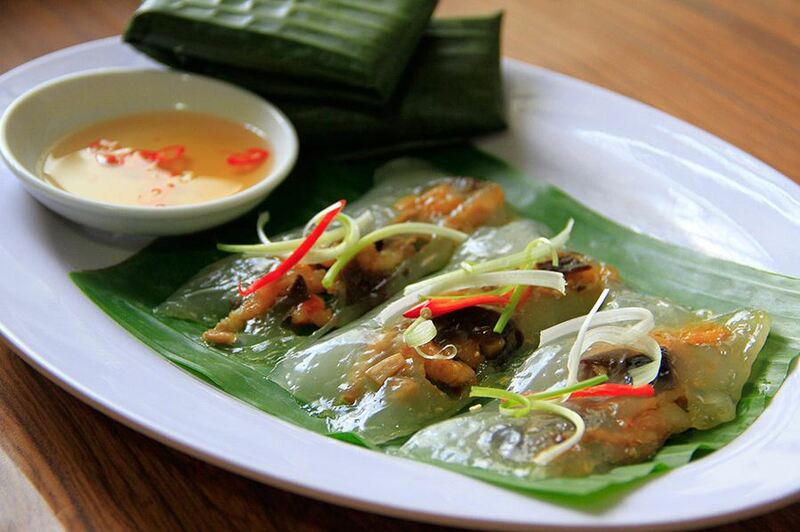 Putting the cake on the dish, opening its leaves and tasting, you can feel the aromatic smell of the phrynium leaves and delicious flavor of the cake served with sauce. 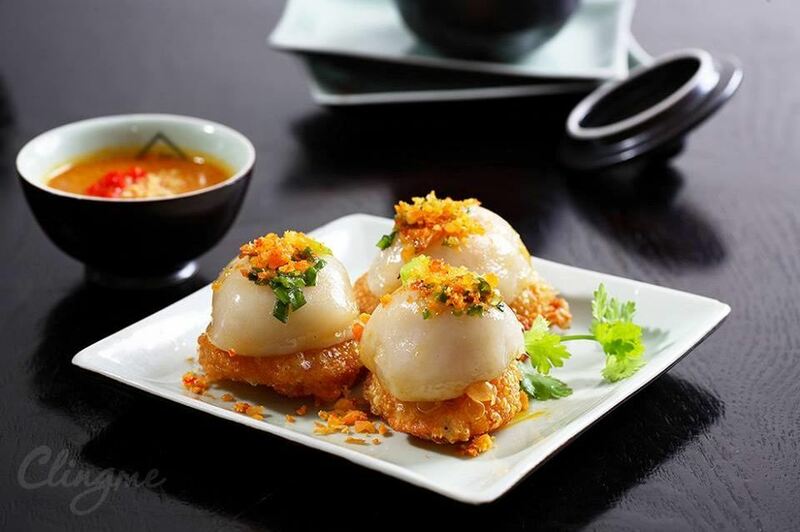 If “nậm” cake is milky and smooth, cassava powder cake is so tough, crispy and transparent that we can see its stuffing of shrimp and pork meat. 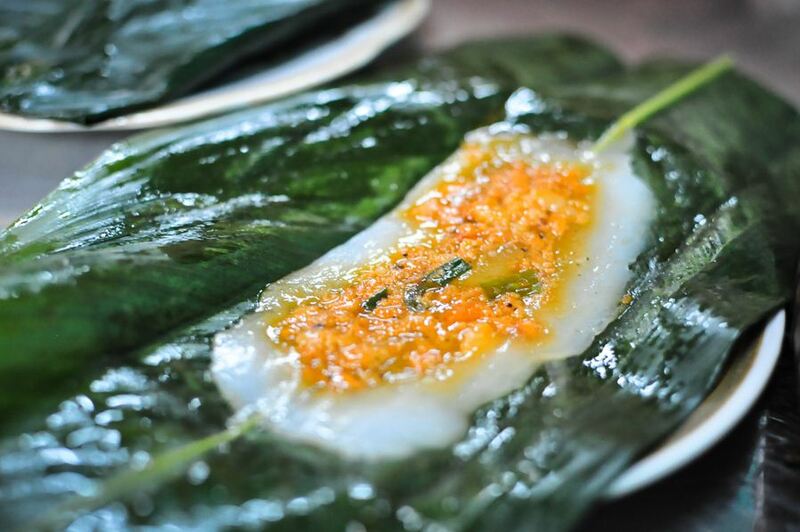 The cake is wrapped neatly in a phrynium leaf and served with hot sauce. 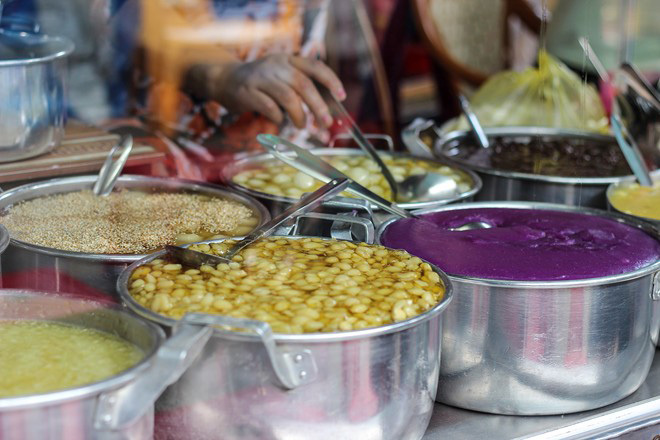 Bite into a piece of cassava powder cake, you will be allured by its distinctive taste. 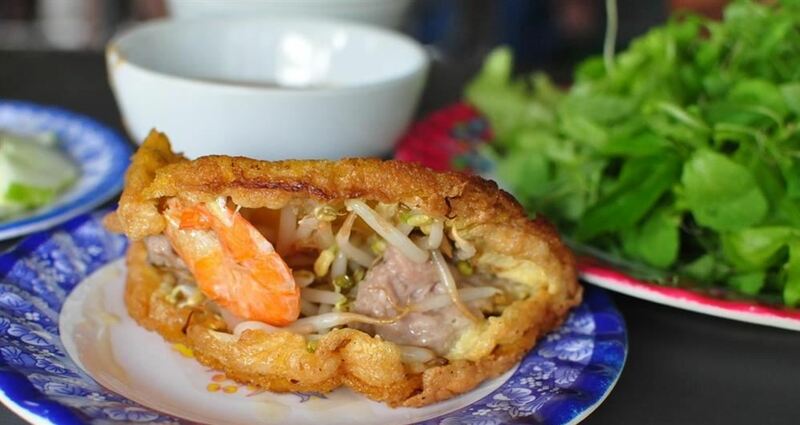 As a traditional dish of Huế’s court, “Ram ít” cake is available at any roadside street-food kiosks in Huế. 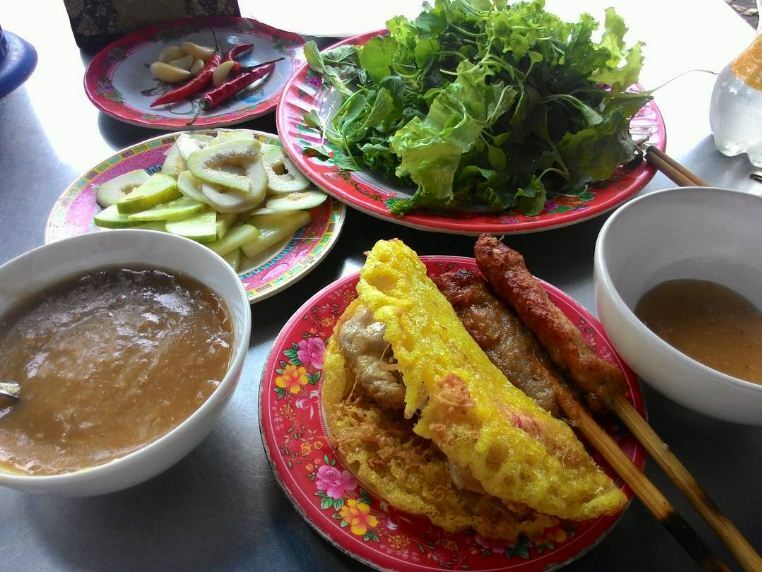 Huế’s people do not often have this cake in their main meals but only during their breakfast or a light meal. 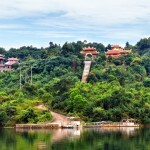 Only skillful and careful cooks can make delicious cakes with viscous, nutty and cool flavors. The sauce accompanied with this cake must not be too salty or too sweet. 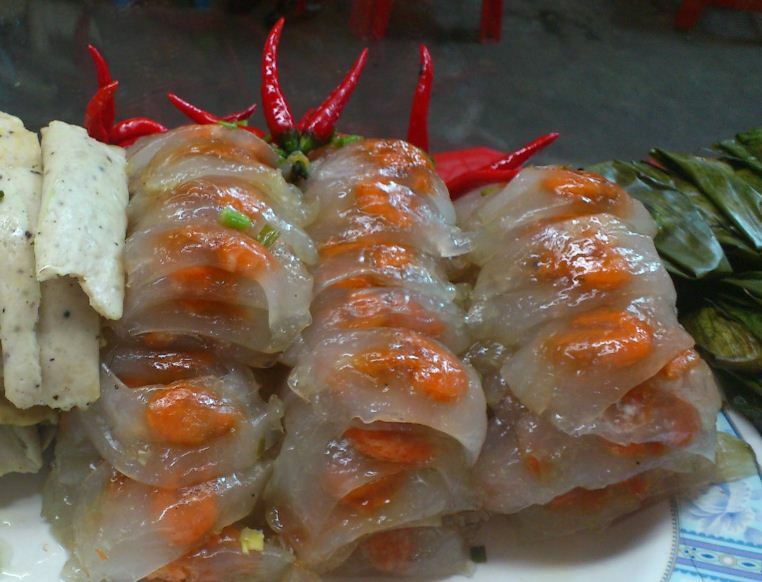 It is served with Huế’s red pepper to increase the taste of the dish. “Ram ít” cake includes two parts, which are the “ram” and the “ít”. 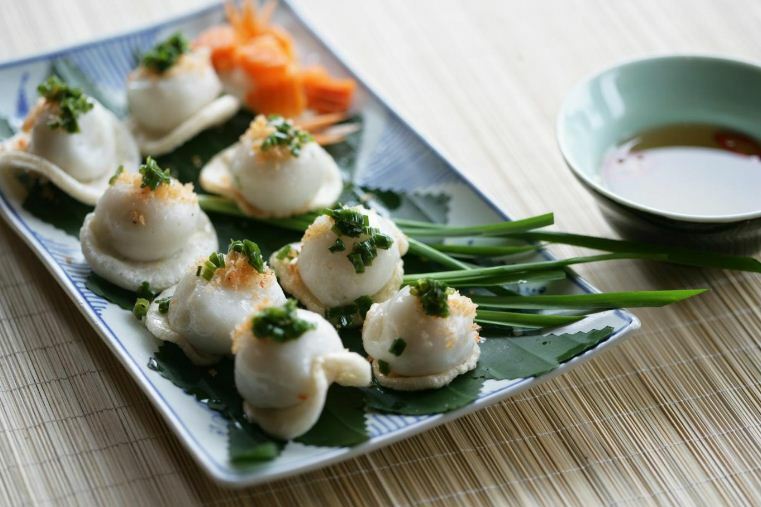 The “ram”, made of sticky rice powder and sweet potatoes, is fried until it is crispy while the “ít” is steamed to ensure its viscous texture and milky color. 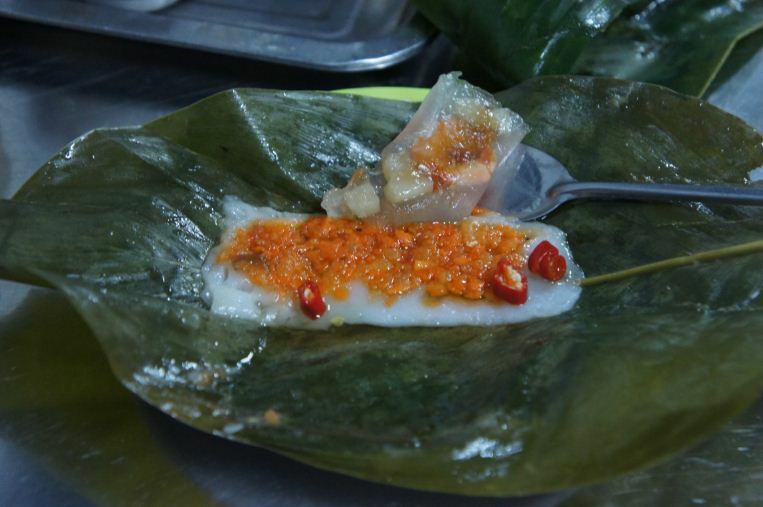 “Ram ít” cake is served with shrimp powder and a sweet, vinegary sauce of Huế people. 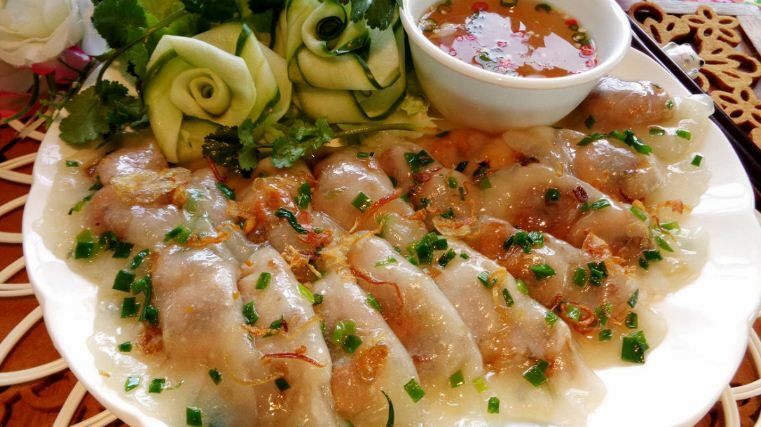 The aromatic, crispy “ram”, the viscous “ít” and the tasty sauce will surely wake up your taste buds. 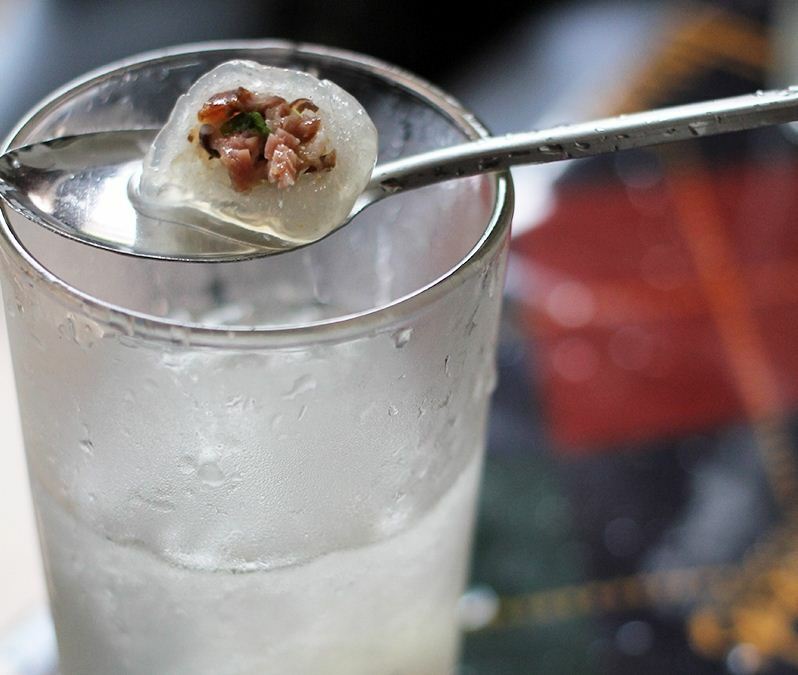 If you visit Huế in the scorching days of summer, you should not miss tasting Huế’s sweet soups as an effective antipyretic method. 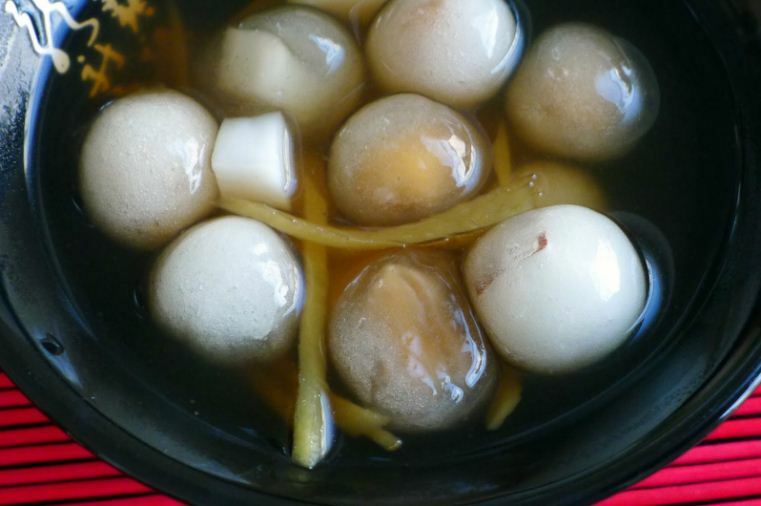 Every type of sweet soup features their own flavors that are skillfully made by the local people. 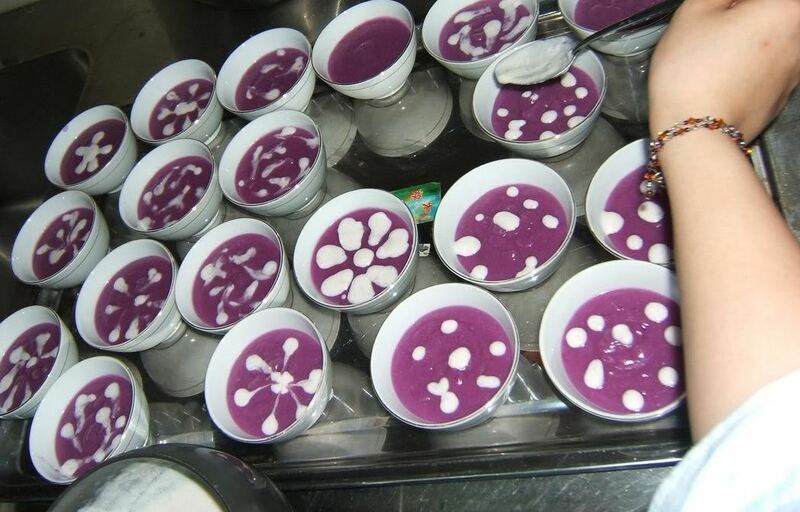 Many people mistake this type of soup for the taro sweet soup of the Northern people or believe that this soup uses artificial colors because no one believes that it could have such a natural color of purple as the specific color of Huế. 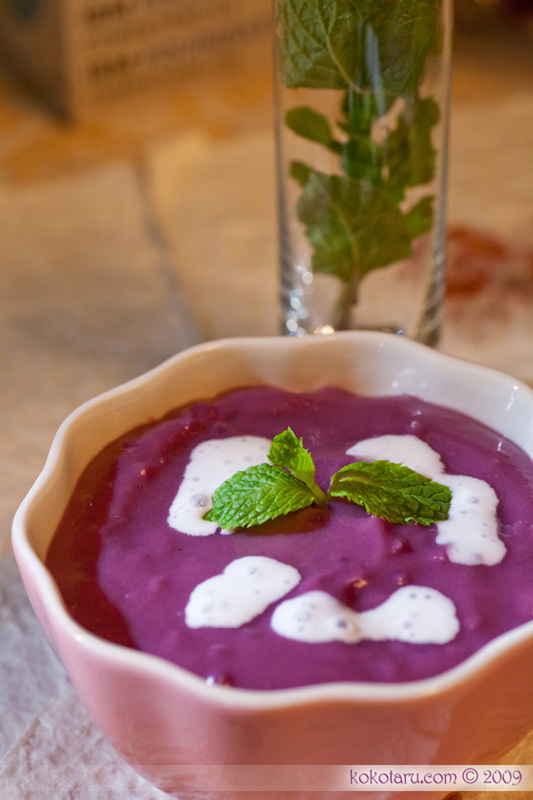 The purple sweet potato sweet soup is not only naturally purple but also very nutty. Therefore, it is not by chance that this bowl was chosen for donating to ancient kings. Large ripe bananas are peeled and then grilled on a charcoal oven until they release their sweet juices. 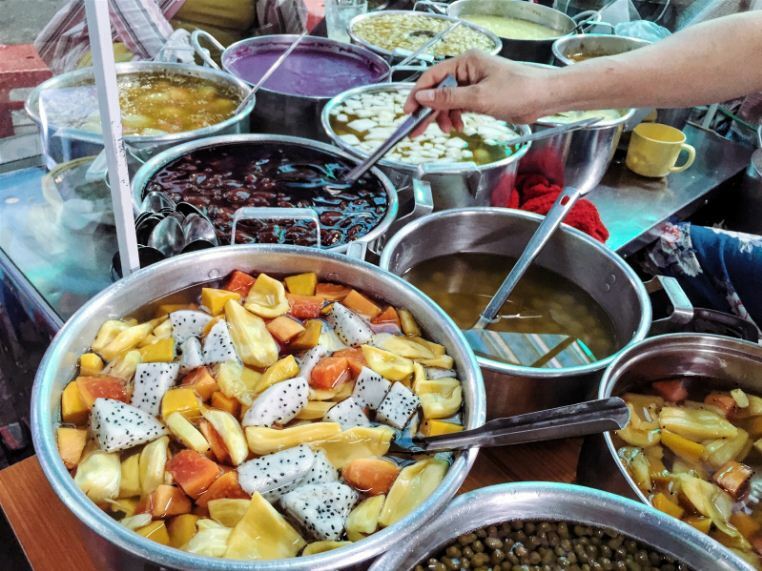 Put slices of banana on the fragrant coconut milk and small powder pearls, then taste it to feel the cool and delicious sweet soup of the ancient citadel. 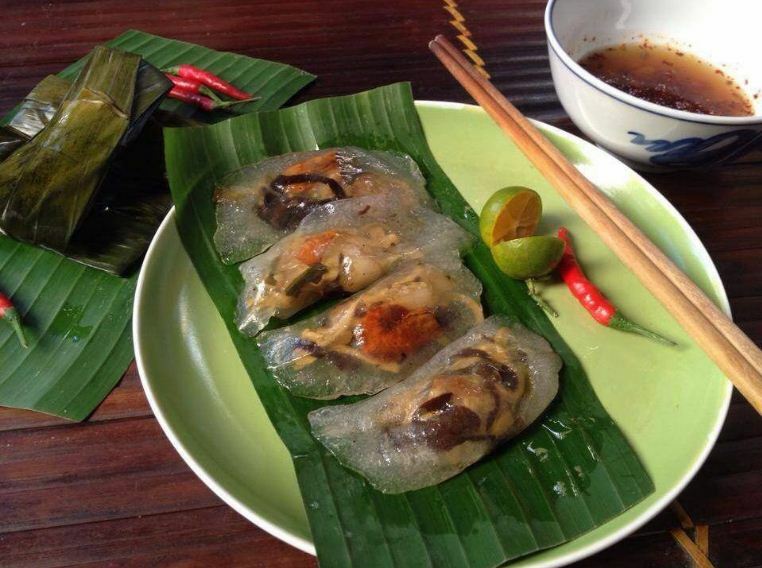 You can find this strange type of sweet soup only in Huế. 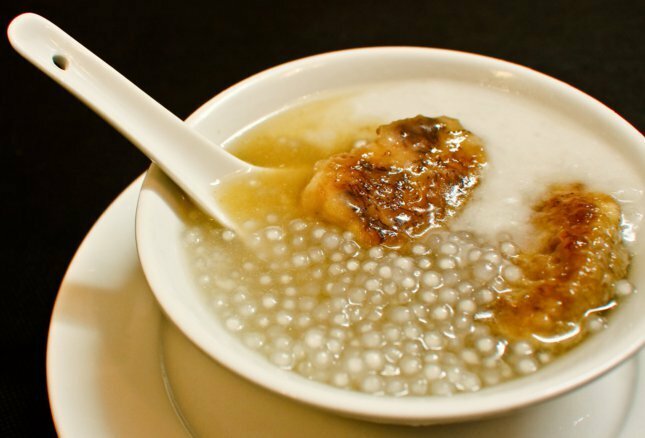 The sweet soup with stuffing of roasted pork meat is sophisticatedly made of chopped roasted pork meat, covered with sticky rice powder and cooked with sugar. The soup is salty, fatty and sweet. We can only taste hot or cool bowl, not cold one. 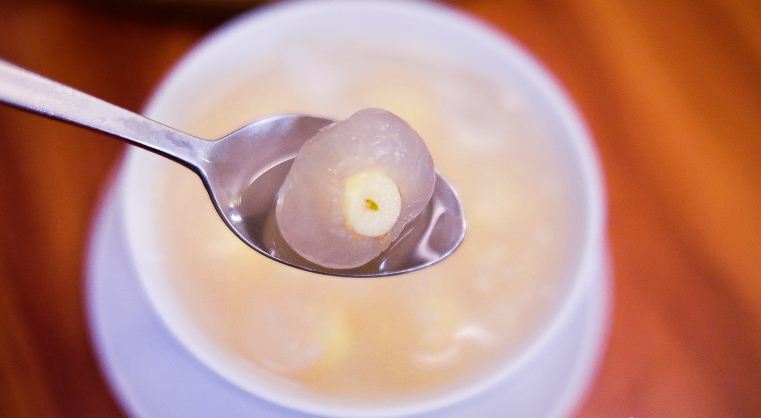 Made of popular ingredients, a delicious bowl requires the patience and skills of the cook. 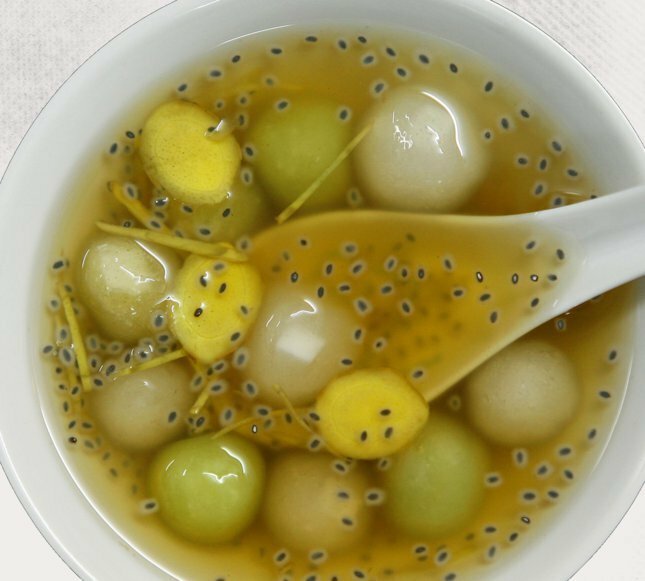 Tapioca, distilled sugar, ginger, dry grapes, fresh coconut and lá nếp (tree for sticky rice) are finely combined to create a delicious bowl of sweet soup with pieces of powder and stuffing of coconut and grapes. 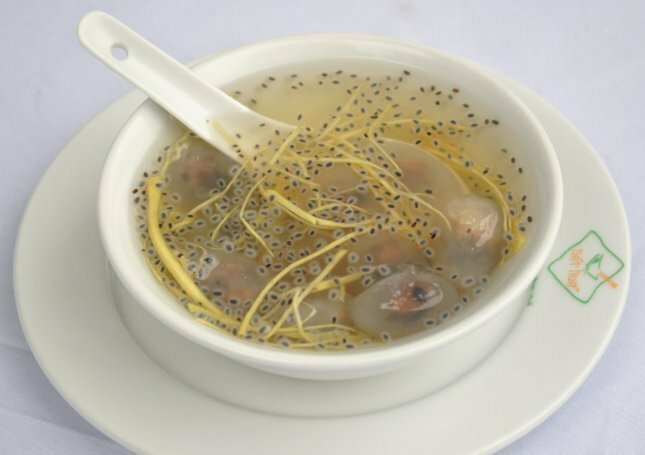 The sweet soup is viscous, tough and fragrant with the smell of ginger that is very special in Huế. 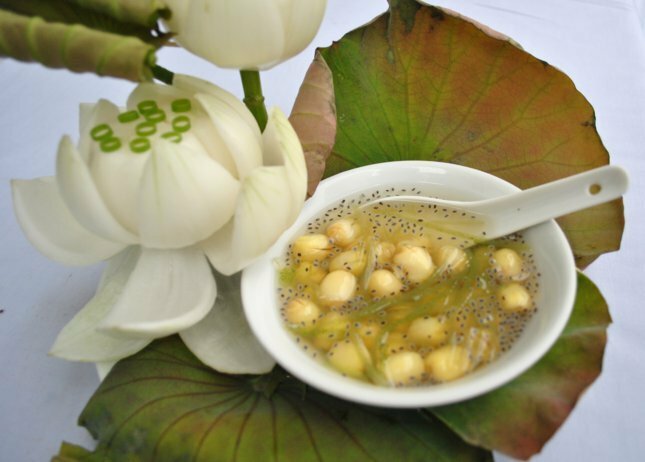 Being a refined type of soup, lotus sweet soup is made of Tinh Tam lake’s lotus seeds. 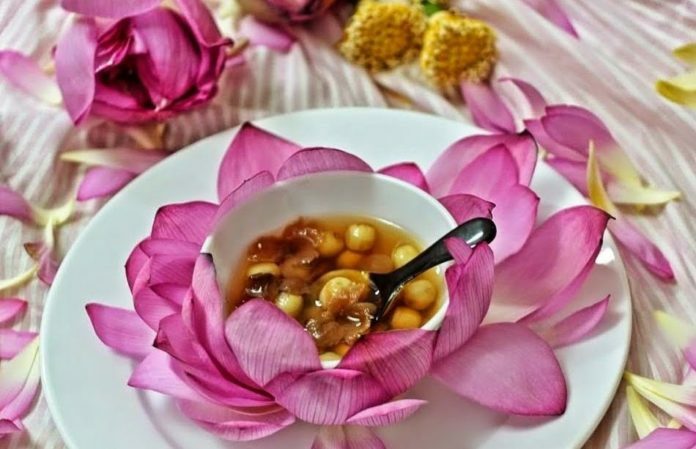 Firstly, lotus seeds are steamed and then cooked with white sugar or sugar candy until the sweet flavor of sugar soaks into lotus seeds. 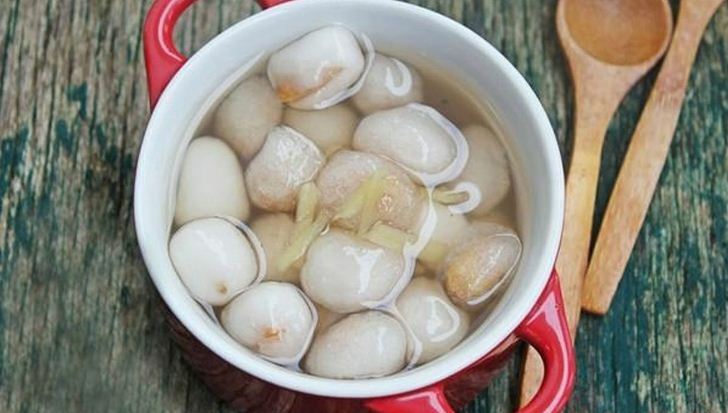 To make the soup scrumptious, the cook must set the fire moderately and stir lightly to make the lotus seeds cook enough to bring out their sweet-smelling flavor.